CINCINNATI (AP) — First-year manager Mickey Callaway knew something was badly wrong when Wilmer Flores went to the plate for the first time. At that point, it was too late to change the Mets' mistake. This one simply wasn't in the lineup cards for New York. "It is frustrating," said Callaway, who blamed himself for an administrative mistake. "It probably cost us a game. We had a chance to score in the first and we didn't." The Reds took two of three for only their second series win of the season. They're 10-27, their worst start since the Great Depression. Raisel Iglesias (1-0) retired six straight batters, fanning three. It started with a miscommunication. The Mets handed Callaway's lineup card to the umpires, which had Asdrubal Cabrera batting second and Wilmer Flores third. However, the lineup sent out by computer pregame and posted on the dugout wall incorrectly had the two hitters switched in the order. Callaway did not identify who sent out the incorrect lineup. "I felt bad," Reds interim manager Jim Riggleman said . "It's so easy to have that happen." "I've seen it in the minor leagues," Meals said. "It's been a long time, 32 years." Following their correct order the next time through, the Mets got a run in the third when Brandon Nimmo tripled off Sal Romano and scored on Cabrera's groundout. Zack Wheeler had retired 12 straight before the Reds rallied in the sixth to tie it on Joey Votto's single. Wheeler had to wait until the umpires sorted out the batting-out-of-order situation to throw his first pitch. "I don't know," Wheeler said. "Some weird baseball. Unfortunately it happened, but it does happen every once in a while." 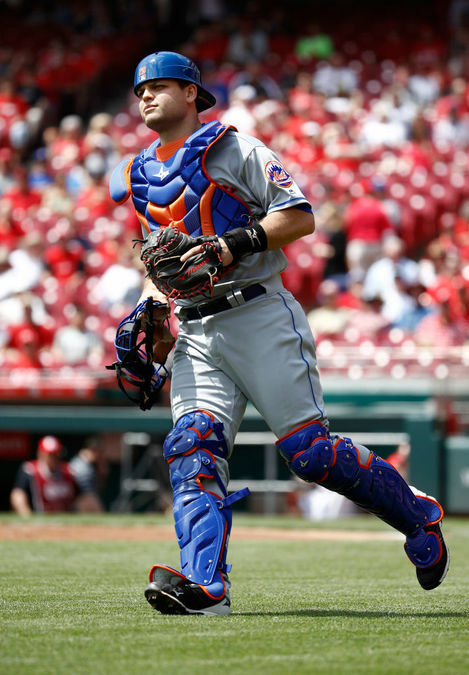 The Reds had some fun with the Mets' misadventure on their Twitter feed. They retweeted the Mets' pregame post with their starting lineup and commented: "Can someone send this down to the third base dugout?" There's no set plan for when Harvey will pitch or whether he'll be used as a starter or reliever initially. He's in Los Angeles and will join the team for the start of a series Thursday against the Dodgers. The Reds open a four-game series against the Dodgers, who have won their last eight games against Cincinnati and 17 of the last 20. RHP Tyler Mahle (2-4) faces RHP Walker Buehler (2-0).